PLENTY OF MONDAY PARKING AVAILABLE, Please bring $10, CASH. 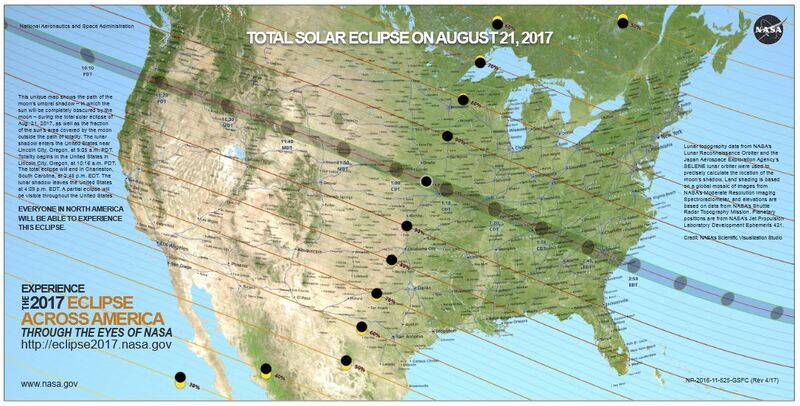 for the 2017 total solar eclipse? Look no further! 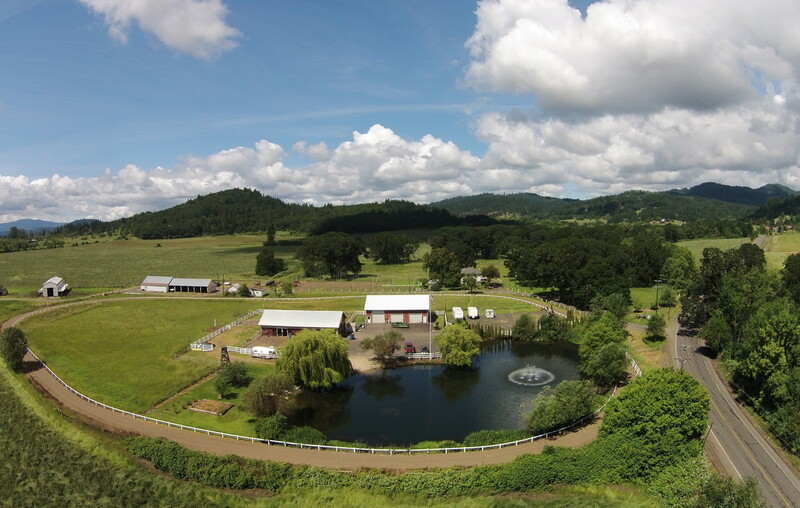 Brandis Farm is nestled in the Heart of the Willamette Valley, in Corvallis, OR and is a perfect location! With easy access to multiple hiking and biking trails, the town of Corvallis, Brandis Farm is your place to camp or park for the eclipse. Totality will last for 1 minute 40 seconds in Corvallis and begins at 10:17am on Monday August 21st. Come camp at the base of Bald Hill on the edge of beautiful Corvallis, OR. Easy access to local shops and restaurants, bike friendly community, hiking and trails nearby. Take I-5 to exit 228, head west for ~13 miles. Watch for Eclipse Camping signs and turn left into the Brandis Farm field. Continue on Hwy 34 for 10 miles. There will be 2 stop lights on your way into town. After passing the Golf course on your right, you will cross the Willamette River and enter downtown Corvallis. Hwy 34 becomes Harrison Blvd. Continue straight on Harrison Blvd all the way through town for 2.6 miles until you reach the stop light at 53rd St and Harrison. Continue straight. You will still be on the same road, but it had another name change and is now Oak Creek Dr.
Go 0.4 miles after the light. Brandis Farms is on your left and there will be signs for camping. This is dry camping, in a grass field. RV's, camp trailers, and tents welcome. Sorry, no hook ups. Pet friendly, but please keep your furry family members on a leash. Port-a-potties. No fires or charcoal grills allowed due to fire protection rules in the area during this time, propane grills are allowed. Alcohol is allowed for 21 and older. All unruly guests will be asked to leave, no refunds. Check in times: 3pm Friday, 12pm Saturday and Sunday - If you think you will arrive later than 8pm, please email us. Trailer and RV camping includes one tow vehicle. No hook ups, this is dry camping, please empty your black/grey water and fill your fresh water before you arrive. RV/Trailer campsites are approximately 30'x40'. If you need a larger camp space, please contact us. Parking on Monday of the eclipse is available from 5:30am to 6pm. You can reserve a parking spot for Monday through the reservation site. One vehicle and up to 2 tents. Additional tents must reserve a second site. Tent sites will be in a separate location from RV sites. Tent campsites are approximately 15'x20'. *Additional vehicles will be charged $20/night and must park in the overflow parking lot. The total eclipse, when the sun is completely blocked by the moon, will last approximately 1 minute and 40 seconds in Corvallis, OR. You can see the sun and the eclipse with special eclipse glasses. NEVER look directly at the sun without appropriate eye wear. Regular sunglasses are not safe to view the eclipse. Find a nice, clear spot with a good view of the sky! 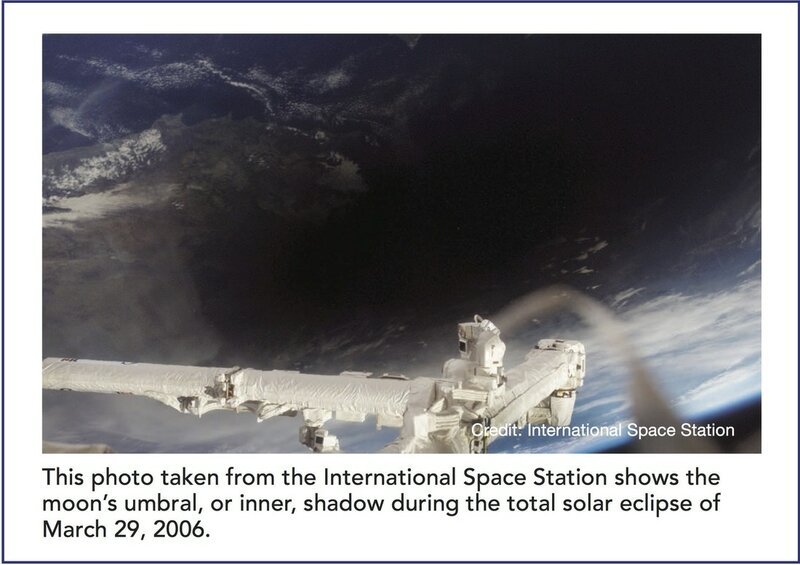 A solar eclipse happens when the moon casts a shadow on Earth, fully or partially blocking the sun’s light in some areas. Observers within the path of totality will be able to see the sun’s corona (weather permitting), like in the images above and left. Observers outside this path will see a partial eclipse. 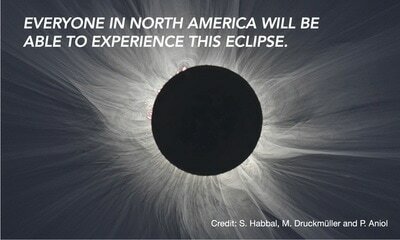 Most of Earth is covered by water, so a total solar eclipse that occurs over populated areas is quite special. The August 2017 event will be the first one whose totality path lies completely within the United States since 1776, experts have said. 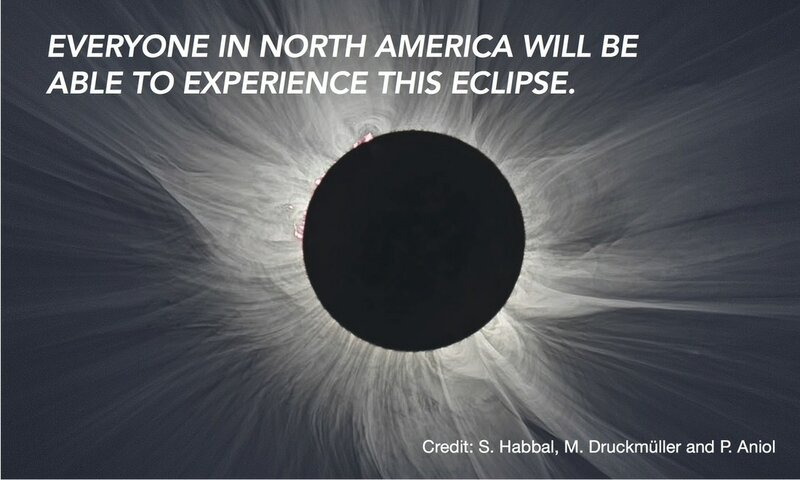 "A total solar eclipse, is widely regarded as probably one of the most breathtaking, amazing phenomena that you can observe from this planet Earth with your own eyes," "With unaided eyes, you can actually see the outer atmosphere of the sun." We won't see this again for another 70 years! 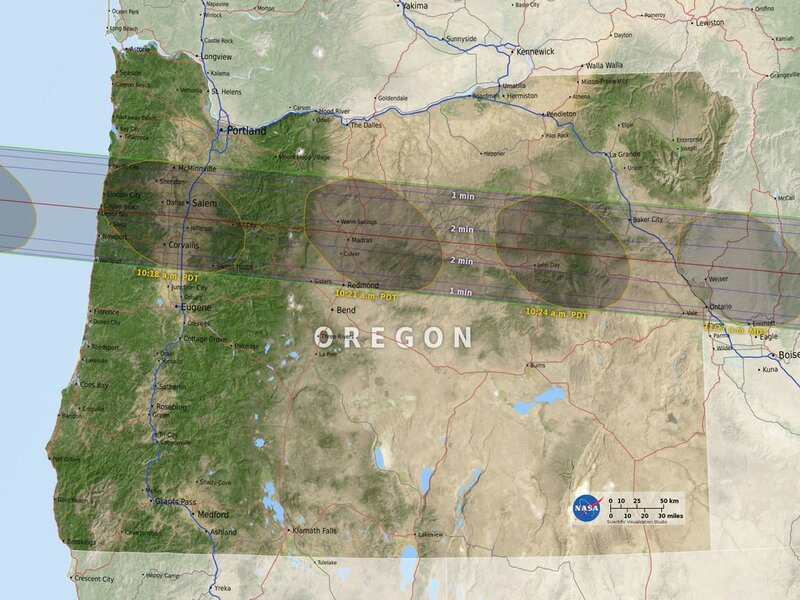 Totality will last for 1 minute 40 seconds in Corvallis and begins at 10:16:56am on Monday. Most of our images and information comes directly from NASA! First option is to view the eclipse right from your camp site! The view of the sky is perfect from the farm. There are trees surrounding the east and south borders of the property, but they do not obscure the view! Settle in, grab your coffee, mimosa or bloody Mary, kick back and enjoy the show! It's hard to know where to start! Corvallis is such a wonderful town, full of things to do, especially for the outdoor enthusiast! Corvallis is a town of about 50,000 people is the home of Oregon State University. During the summer, most students head home and the town is quite peaceful. The weather is at it's best in August, almost always sunny, warm and dry. The Willamette river provides a great recreation opportunity including swimming, river floating, fishing, kayaking, canoeing and more. Corvallis is a bike friendly community with bike lanes and nice shoulders everywhere in town. Access to scenic byways and quiet country roads beacon cyclists. There is also plentiful, nearby hiking, mountain biking, and trail running in the McDonald forest just a few miles from town. Alsea Falls and Black Rock are popular destination for mountain bikers and are both with in 40 minutes drive from Corvallis. In the heart of wine country, there are ample wineries and breweries. Check out our wine and brew tours (info to follow). Corvallis is just 1 hour from Oregon Coast, an easy day trip. Our local restaurants are delicious! We know you'll love Corvallis as soon as you get here! A few miles up the road is the entrance to the breathtaking McDonald Dunn Forest. OSU and Starker Forests provide endless trails and gravel roads for car free adventuring in the woods. Hike/run/mountain bike to the top of Dimple Hill or the even more challenging McCulloch Peak. Harris Bridge Vineyard on Sunday Aug 20th. Any Brandis Farm campers may show their camping confirmation email and receive a complimentary wine tasting! No, we aren't sold out. We will update the website when we do, but for now, we've got a spot for you! For general inquires and more information on camping, please call, email, use the contact form, or send us a message on Facebook.